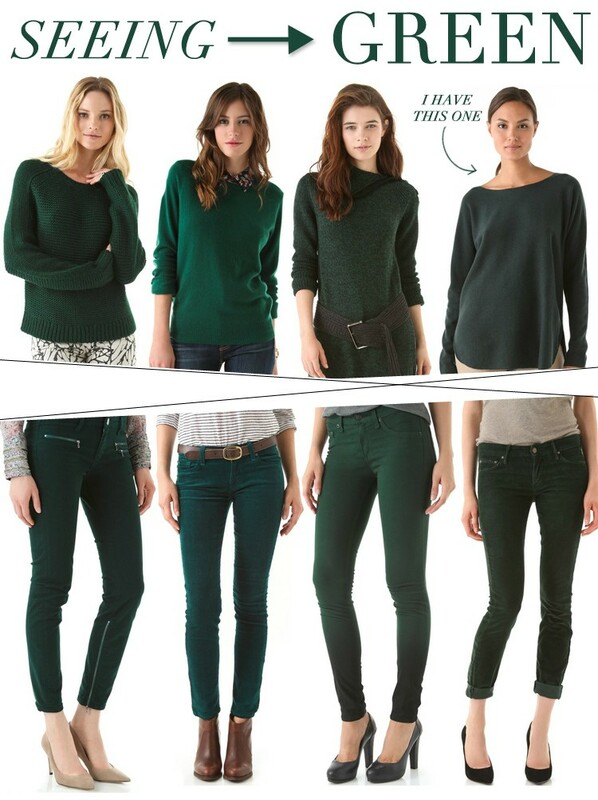 One of my favorite colors for fall is bottle green. It’s such a beautiful, rich shade that can be worn in a variety of ways. Because it’s dark like black, it is flattering and easily paired with different colors. Here are some favorites in the sweater and jeans area – I already have the Vince sweater but I’m hoping for Rag & Bone jeans. Love the faded ombre look!